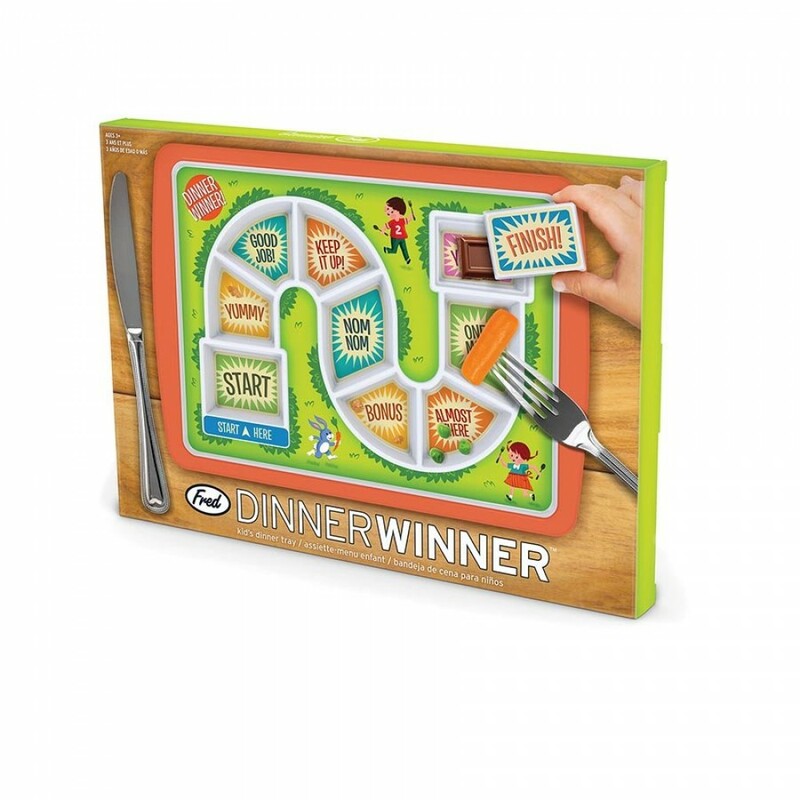 Dinner Winner makes food fun! 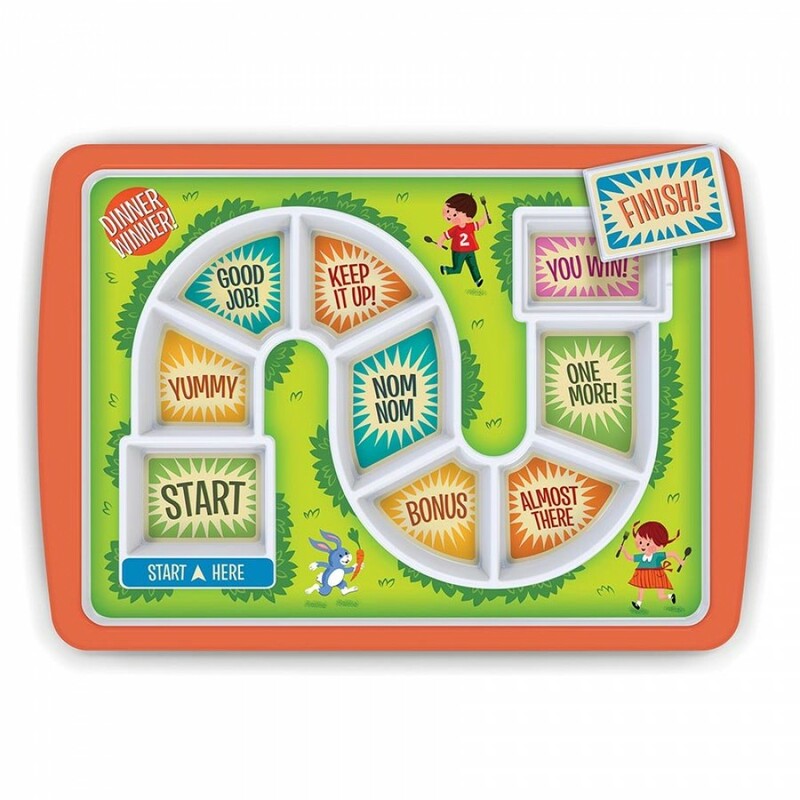 The goal is to get to the finish line, where a special covered treat awaits, so even fussy eaters will clean their plate! 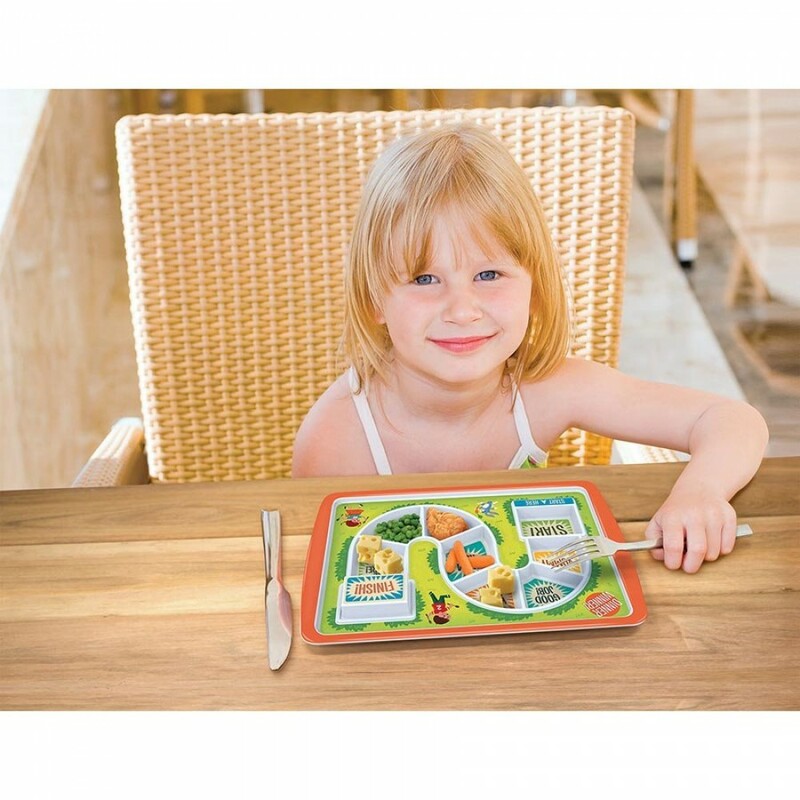 Dinner Winner is molded from 100% virgin melamine, BPA free, food-safe and dishwasher-safe.